The mid-twenties usher in a number of changes­ — in our relations, in our careers, and in our body! After the age of 25, the skin starts showing signs of ageing, visible pores, dryness, dark circles, fine lines, and wrinkles. Makeup is a temporary solution for a permanent problem. Sooner or later, the foundation will need to be washed off and you’ll be left with your blemishes. What your skin needs at this crucial juncture is to be looked after. 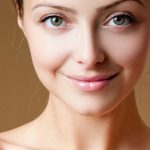 Here are some simple tips for skin care after 25 years that can help you look young, vibrant, and fresh. This is very important for the skin. Always choose a cleanser which suits your skin type. There are many brands available. Use the one which works best for you. A good cleanser will clean the pores and impurities thoroughly. And will also remove traces of oil and makeup, leaving your skin soft, fresh, and clean. The cleansing should be done twice a day, once in the morning and once before going to bed. Toning is an important part of any skin care routine. Once you have cleansed the skin thoroughly, use a good toner to close pores, tighten skin, and remove the greasiness that may remain after cleansing. Many branded toners are available in market. You can choose the one that suits you the best. Rose water is the best toner for all skin types. The skin requires lot of moisture as it ages. With time, the skin begins to feel dry and tight. So, you need to hydrate it with a good moisturizer that will give you a smoother skin texture. The market is chock a full of moisturizers, look around and buy a product that’s formulated especially for your skin type. Make sure that your moisturizer provides maximum moisturisation and protects the skin from early aging. And don’t forget to moisturize your neck! Dry and ageing skin benefits from exfoliating as it not only washes away dead cells but also help in the production of new cells. You can use branded scrubs or naturals scrubbing agents like oatmeal, orange peels, etc. Regular exfoliating can give you a smoother, brighter, and firmer skin with fewer wrinkles. You can exfoliate your skin once in a week for best results. Remember the saying “Prevention is better than cure”? The sun can wreck havoc on your skin, leaving it tanned and freckled. It’s never too late to start protecting your skin from the harmful UV rays of the sun. A hat, a scarf can protect your skin to an extent. But if you really want to keep your skin safe, use a sunscreen. Use a sunscreen with a minimum of SPF 15. Sunscreens too come in a variety of forms. Pick the one that’s formulated for your skin type for added benefits. Facials are the best way to pamper your skin. One of the wonderful tips on how to take care of skin after 25. They clear your complexion and give you an instant glow. A good facial from a reputed professional is just what your skin needs to look clean and fresh. Getting a facial massage will clean your skin and prevent the appearance of wrinkles. You are sure to feel rejuvenated—inside and out—after a good facial massage! Face packs are generally a part of a facial. But even otherwise, you use face packs and masks to tighten and revitalize your skin. You can prepare your own face packs and masks at home with natural ingredients like egg, honey, gram flour, rose water, almond oil, etc. Use face packs/masks once a week for that clean, younger and tight skin! Most Anti ageing products contain ingredients that help to fight signs of ageing. You can start using anti ageing products in your mid twenties but it is best to make them a part of your skin care routine when you are in your early thirties. These products prevent the appearance of fine lines and wrinkles. They also encourage the production of collagen and improve the elasticity of the skin. You should look for products containing Alpha hydroxyl acids (AHA’s), Retinol, Vitamin A, Vitamin E, Vitamin C, and other natural ingredients. You should follow the manufacturer’s directions, printed on the package, while using these products. As we age, our skin needs more sustenance. We can provide our skin the required nourishment by using products rich in antioxidants, Vitamin A, E, and other natural ingredients. Together, these combat free radicals, and prevent skin ageing. They also improve skin firmness, elasticity, and make the skin smoother. Use these creams at night to get maximum benefits. A well balanced, nutritious diet can be the secret behind a glowing skin. You should eat plenty of fruits and vegetables, which are rich in antioxidants and keep your system clean. Try to include adequate amount of carbohydrate, protein, fats, vitamins, and minerals in your diet. Water is very essential for healthy skin. Drink at least 6 to 8 glass of water to flush out toxins from your body. It’s never too late to start caring for your skin. The twenties is the perfect age to become aware about your skin and its requirements. Sow now and you are sure to reap the benefits later! Did you find the article helpful? Do you follow a skin care routine? Do share your age 25 skin care secrets with us!